Hi everyone! My brother caught a snake, and Josie really liked it! It was her first time seeing a snake, since I didn't have her when we went to Repticon. Sometimes, my Blythes hang out in the car. Peaches, Kiki and Josie love to climb trees. They all love to do it because it is fun. Josie is not climbing trees in the pics, because instead of holding a camera, Josie wanted my hands free to make sure she didn't fall. She thinks she might fall because Kiki was up a tree and she fell. Luckily, I was able to catch her! This is the campfire at the camp. It is built with rocks. It isn't on fire in the photos because this was before we lit it. 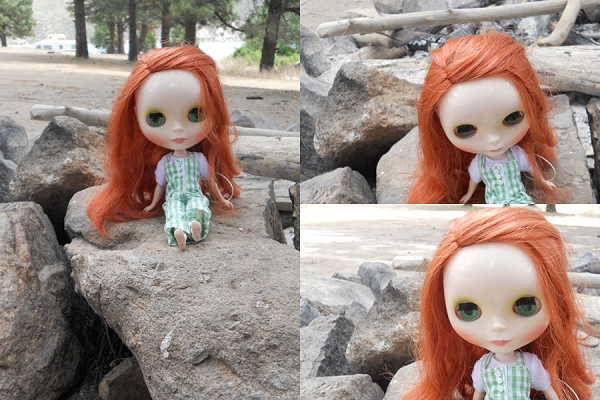 Here is Josie sitting on a rock on the campfire. Isn't she pretty? Hi everyone! 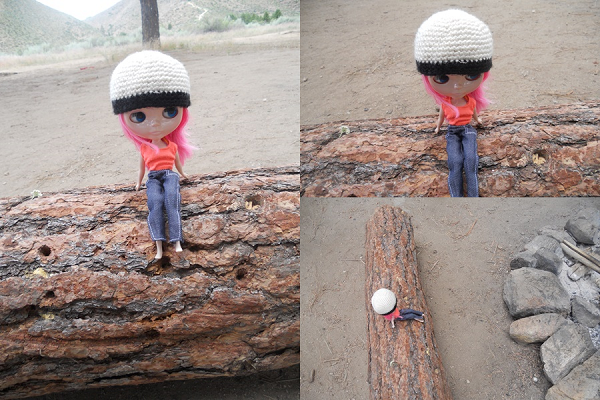 My Blythes and I went camping and we LOVED it! There was lots of places to explore and lots of places to play. Peaches, Kiki and Josie all loved camping. Peaches loved it because it was calm and peaceful there. Kiki loved it because it was adventurous there and there was a lot of trees to climb. Josie liked it because she was surrounded by nature. 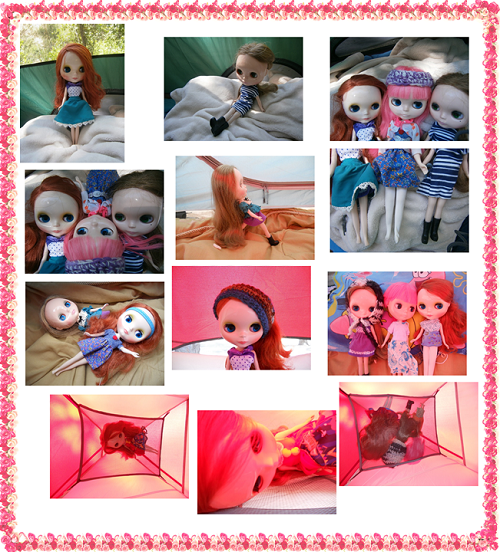 Above are the pictures of them in the tent. We are gonna be camping for a while, so every now and then, we go into town. That's when I can post.